Florida CFO Jeff Atwater presents a free workshop for seniors, their families and caregivers. The program is part of Operation S.A.F.E. (Stop Adult Financial Exploitation), On Guard for Seniors initiative. Click to register. For more information, call 850-413-2854. The Federal Aviation Administration may open the nation’s airspace to drone photography of real estate properties. Other countries are allowing this method. A drone, says Wikipedia, is and unmanned aerial vehicle (UAV) without a human pilot on board. A computer can control it or a remote control from another vehicle. 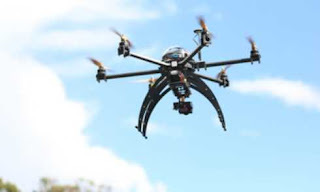 FAA rules are expected to be finalized by 2015 and Congress instructed FAA to open drone use to the nation’s airspace for commercial use and permit issuing. The results can be less expensive than aerial photography. Issues may come up about invasion of privacy. FLORIDA REALTORS ASSOCIATION SAYS THAT FORECLOSURES EQUAL ABOUT 7% OF THE CURRENT RESALE MARKET. A foreclosure freeze slowed the number of defaults initiated against borrowers between October and December 2010 due to the “robo-signer” issues. 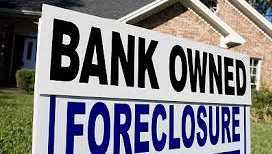 In the second half of 2010 the legality of thousands of bank repossessions slowed foreclosure efforts. Between 2007 and 2013 almost 365,000 notices of default were filed against Southeast Florida borrowers, overwhelming the state court system. In 1Q/2013, foreclosure repossession totals, since the 2007 start of the real estate crash, surpassed 200,000 in southeast Florida (Palm Beach, Broward and Miami-Dade), according to Condo Vultures. From January to March of this year, an analysis based of Clerk of the Court records showed nearly 9200 properties were repossessed, or state courts were used to force foreclosure sales. That is about 100 properties per calendar day. In 1Q/2013 foreclosures have decreased 10% on a year-over-year basis – 1Q/2012 had nearly 10,200 repossessions. Nearly 1250 bank-owned condo and townhouse units are on the resale market as of April 14, 2013 at about $84/ per sq ft. About 1400 units are now short sales at a median asking price of about $83/per sq ft. This information comes from the Southeast Florida MLXchange. UPDATE: Foreclosure Filings Spiked By 34% In South Florida Region In Q1 2013. 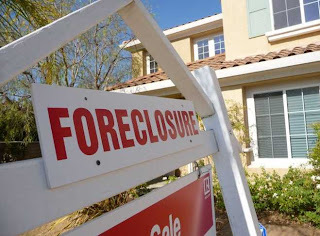 Nearly 13,700 foreclosure actions were filed in the tricounty South Florida region of Miami-Dade, Broward and Palm Beach in the first quarter of 2013, representing a 34 percent increase in notices of default initiated on a year-over-year basis compared to the same January through March period in 2012, according to a new report from CondoVultures.com. Lawmakers and consumer advocates are currently seeking to change Florida’s status as one of the few states in the country that is still seeing an increase in foreclosure activity. There are multiple proposals currently floating around in the Florida legislature that have people on all ends of the issue debating. House Bill 87, also known as the “Fair Foreclosure Act,” is currently moving through committees in the House. Supporters of the bill argue that the bill protects borrowers by requiring banks and lenders to prove they own a mortgage before filing any action towards foreclosure. If passed, the bill would also allow third-party lien holders, such as condo or homeowner associations, to push foreclosures through a faster process rather than through the usual court proceeding with the lender. Borrowers would then be allowed 20 days to provide defense against the foreclosure action. After a final judgment in foreclosure is reached, the bill would give banks and lenders one year instead of the present five years to go after borrowers for losses from a foreclosure. HB 87 has generated the most discussion of all proposed measures. Critics claim that the legislature seems more concerned with processing foreclosures as fast as they can and less concerned about protecting the well-being and rights of homeowners. They also say that 20 days is not enough time for homeowners to seek out attorneys and provide reasonable foreclosure defenses. On the contrary, supporters claim Florida’s judicial-foreclosure process is too drawn out, creating misery among those involved. Supporters say accelerating the process would also be beneficial for the future of Florida’s real estate, as homes in foreclosure limbo are sometimes eyesores that push surrounding property values down. 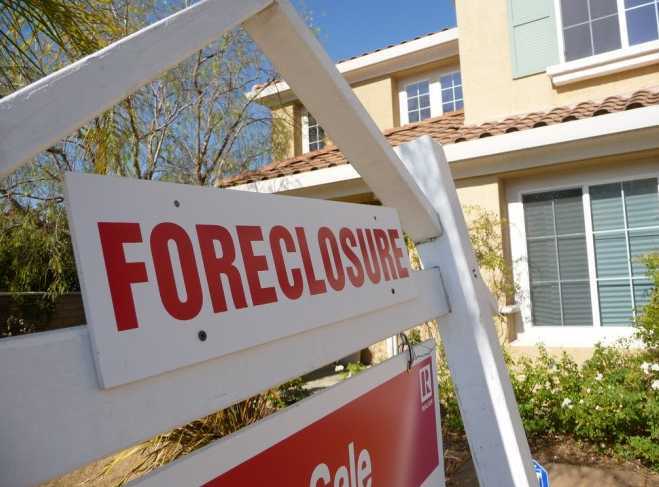 Senate Bill 1666 would allow retired justices or judges to consent to temporary duty to help go through the backlog of foreclosure cases in Florida. The legislation would also allow second publication of the notice of sale of a home to be published on a publicly accessible website of the clerk of court in lieu of being published in any other form of media. This changes the requirement that a second notice of pending foreclosure occur in a print newspaper advertisement, a move some say is unfair to low income homeowners who could only find out about a potential foreclosure sale through a print newspaper notice. HB 1777 would establish a homeowner bill of rights, like a similar measure enacted in California early this year, in the event of late mortgage payments. California’s law is meant to protect homeowners from predatory lenders and further regulate lending practices. California has already seen a steady decrease in the amount of foreclosure filings since it went into effect on January 1, CNNMoney reports. Four bills, proposed and sponsored by Senator Darren Soto (D-Orlando), seek to remedy homeowners’ distress. SB 1226 and 371 would mandate that lenders can only file a deficiency judgment one year after a final foreclosure judgment, and would only have two years to collect outstanding debt. Presently, collectors are legally allowed to contact borrowers about debts for up to two decades. SB 1236, also known as the “Mortgage Principal Reduction Act,” would require the Florida Housing Finance Corporation to apply for $100 million of the federal government’s Hardest-Hit Program in order to begin a mortgage principal reduction program for Florida residents with properties are in foreclosure. Soto’s final proposed bill, the “Short Sale Debt Relief Act,” would make deficiency judgments unenforceable on a short sale if the original debt was 20 percent or greater than fair market value. Based on all of the proposals presented, Floridians will likely see changes to the foreclosure process soon. Everyone who has an opinion on what needs to be done most likely wants to see more improvement in the housing market. Sarah Parr is a Florida writer who blogs about Florida foreclosure issues.